The best mobile bitcoin wallet experience. Available both on iOS and Android. Send bitcoin to friends or shop with merchants who accept bitcoin. 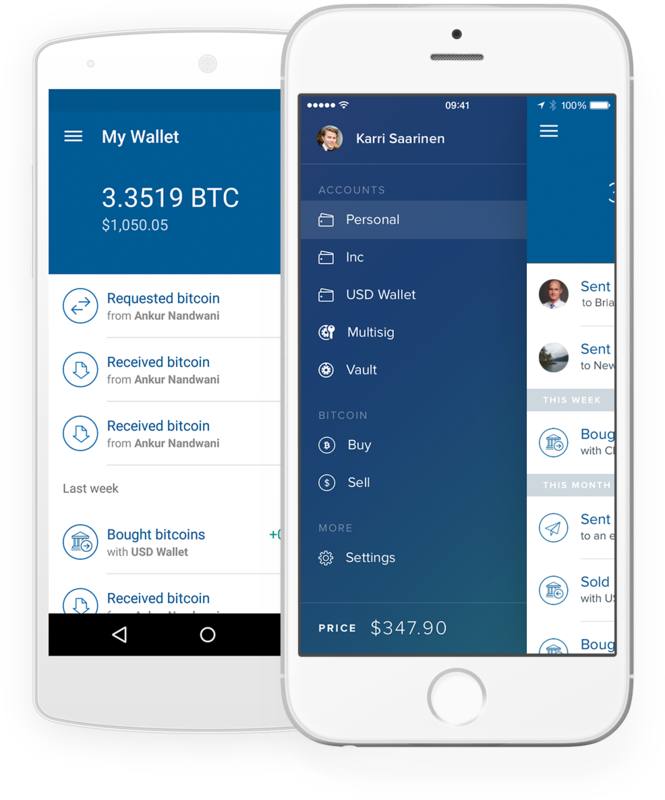 Access all your Coinbase wallets, vaults and transaction details on the go. Buy and sell bitcoin directly from your phone by connecting your bank account.